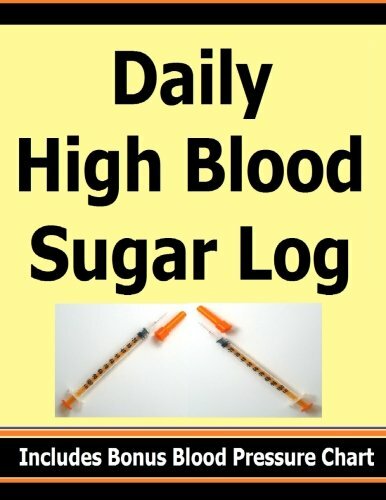 The Daily High Blood Sugar Log contains enough space to monitor your blood sugar up to 4 times a day (before and after meals and bedtime) for one full year. Keep all of your results in one place. Take and show to the doctor. (No more worries about forgetting the details.) (BONUS SECTION!) BLOOD PRESSURE CHART A bonus section in the back of the book allows for you to record your blood pressure readings. Enter the date, time, high and low reading and any comments. The Daily High Blood Sugar Log is a great way to keep record of two of your most vital signs, blood sugar and blood pressure. This large 8.5" x 11" book has plenty room to write plus its easy to read!